3M – Since 1932, 3M has been improving productivity and safety through a variety of product offerings. Widely recognized for their tape, respirators, and dusk masks; 3M is perhaps best known in flooring for their full line of quality coated abrasives. Belts, discs, rolls and specialty items in a limitless combination of minerals, backings and bonds offer solutions from a name you can trust. Bona – Bona continuously strives to launch better products with less environmental impact. This has led to breakthrough innovations from waterborne finishes in the 1970s to dust-free sanding in the 2000s. Today, they are proud to be able to offer a full range of environmentally sound products for sanding, finishing, fastening and maintaining a wooden floor – throughout its lifetime. DuraSeal – For over 100 years, DuraSeal® has been the industry leader in providing stains, sealers, finishes, fillers and maintenance products for the hardwood flooring professional. They pride themselves on manufacturing the most innovative, highest quality products available. DuraSeal® has the right product for every application and environmental demand. Absolute Coatings – With today’s growing concerns about indoor air quality and protecting the environment, the makers of Last∙n∙Last® wood flooring finishing products are always researching ways to manufacture new formulas that give consumers more options without compromising quality. They offer a wide variety of products that perform brilliantly while offering lower voc levels, low odor, easy soap and water cleanup, and antimicrobial product protection. Waterlox – Waterlox tung oil provides a rich, hand-rubbed patina that enhances a wood’s grain and brings out its inherent beauty. Waterlox is an ideal choice for many wood floor specialists because of the genuine old-world presence and the distinctive character it provides while preserving and protecting the wood. Basic Coatings – Basic® Coatings provides wood floor coatings and maintenance products that have the reliability, durability and consistent profitability that flooring contractors demand. Since their innovations of water-based finishes for bowling alleys in the 1970’s, Basic Coatings has maintained a strong commitment of providing a safe, environmental solution of hardwood flooring finishes worldwide. 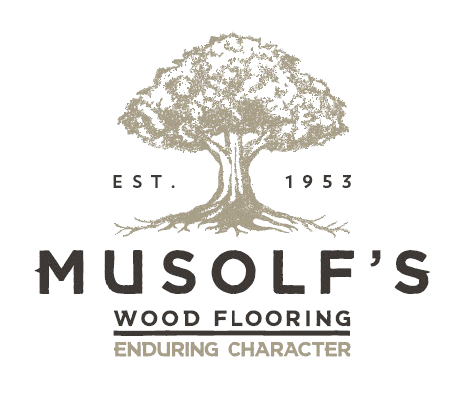 Woodwise – Woodwise was founded by a third-generation hardwood flooring contractor with the simple idea of quality products made by professionals for professionals. Their environmentally friendly wood fillers and Wood Patch contain no harsh solvents, and do an outstanding job of filling cracks, nail holes, gouges and broken edges. Duratool – Duratool produces premium quality wood flooring applicators for the Professional Hardwood Flooring finisher. Thanks to their patented bevel design, Duratool pads allow for finish to be trimmed right up to the baseboard. Padco – Since the early 1960’s Padco has been known as an innovative manufacturer of painting, home decorating, and professional floor finish applicators and accessories. They offer a range of refill styles that optimize the specific applications of waterborne, oil modified, moisture cured, solvent based and resilient surface finishes. Grill Works – Grill Works, a Minnesota based company, offers wood floor registers that are individually crafted to precise specifications. Custom sizes and their endless array of species make Grill Works the preferred vent manufacturer of architects, interior designers, and professional floor installers. Titebond® – Known for superior performance and product innovation for over 75 years, Titebond® has cornered the market with their Franklin wood glues and Construction Adhesives. This unsurpassed line of products was developed to provide the best adhesive for any specific application. Taylor Adhesives – Taylor Meta-tec® MS-Plus® Advance™ Wood Flooring Adhesive with Meta-tec® technology, is a one component 100% solids, cross linking, MS polymer-based adhesive formulated for the interior installation of wood block parquet, engineered wood plank, pre-finished and unfinished solid wood flooring. Taylor Meta-tec® MS-Plus® Advance™ also has good concrete moisture inhibition capability as well as good sound reduction properties that meet the IIC and STC building code requirements. Clarke – Throughout its history, Clarke has been an industy leader in sanding equipment with new product innovations and development. This entrepreneurial spirit of innovation is alive today with a focus on productivity, durability, ergonomics and operator safety. Lagler – For more than 50 years, Lagler has been shaping and revolutionizing floor sanding technology with their developments and machine concepts. Lagler floor sanding machines stand for functional and ergonomic perfection, are easy to handle as well as extremely maintenance-friendly and meet stringent environmental and safety requirements. Bostitch – Stanley – Bostitch manufactures top-quality, innovative fastening tools and fastners for construction and home improvement applications. Products include pneumatic staplers and nailers, compressors, staples and specialty fasteners in a variety of materials and finishes. HighPRO – HighPRO Tools prides itself with manufacturing the highest quality tools for flooring professionals since 1992. They have a full line of tongue and groove cleat nailers, staplers, prefinished staplers, 5/16” top nailers and finish nailers. The tools are designed specifically for hardwood flooring installers who need professional quality and durability in a lightweight, fast and reliable tool. Powernail – Powernail is the premier company in the hardwood flooring industry for the manufacturing of pneumatic nailers and flooring cleats. For over 65 years their products have been the standard in the industry and used in the installation of tongue and groove hardwood flooring of all types and in any thickness. Fein Tool (Gunderlach) – Innovative oscillating power tools reduce down time at the job site. The FEIN MultiMaster and Supercut tools offer a universal system for interior construction and renovation. Both systems offer taylor-made sets aimed at Carpenters, Tilers, Sealant repairers, among other groups. Franklin Adhesives – Since 1935, Franklin’s wood adhesives and advanced polymers have been leading the innovation for wood adhesives and wood products. Today, we provide one of the world’s most comprehensive offerings of wood adhesives for nearly every application and bond type in the wood-assembly process, in the manufacture of furniture, millwork and laminated goods. Bostik is one of the largest adhesive and sealant companies. Worldwide, we employ some 5,000 people in 50 countries across five continents. Our customers come from diverse markets, most notably the industrial manufacturing, construction and consumer sectors. Our smart adhesive systems are used globally in the construction of new buildings and refurbishment projects. You’ll find Bostik solutions for flooring, tiling, waterproofing, sealing, decoration, assembly and insulation.